A technical poling skiff in the truest sense of the term, the Copperhead exhibits impeccable poling manners, tracking, spinning, and stopping effortlessly. Unlike many dedicated poling skiffs, the Copperhead features wide walkaround gunnels and a generous beam for best-in-class stability. An expansive forward deck with molded toe-rail, a roomy cockpit, and plenty of dry storage make for a surprising level of comfort, while state-of-the-art construction means a true 6" draft with two anglers and gear. 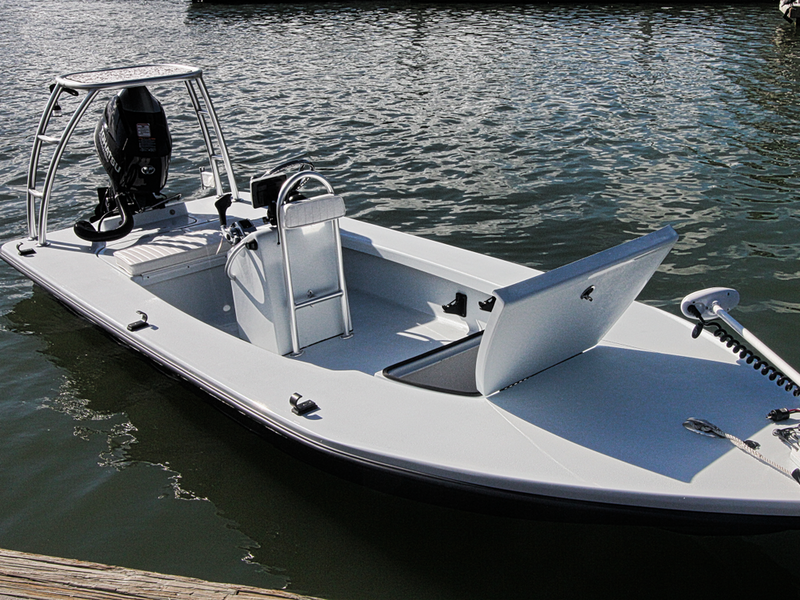 Designed for 30 to 60 hp outboards, the 450 lb. hull incorporates sharp edges on the bottom chines and stern edges (along with other a few other "secret ingredients") to plane fast, turn tight, and maximize efficiency. A drop-nose sharp-V entry smooths the ride in chop, while low freeboard reduces poling windage. 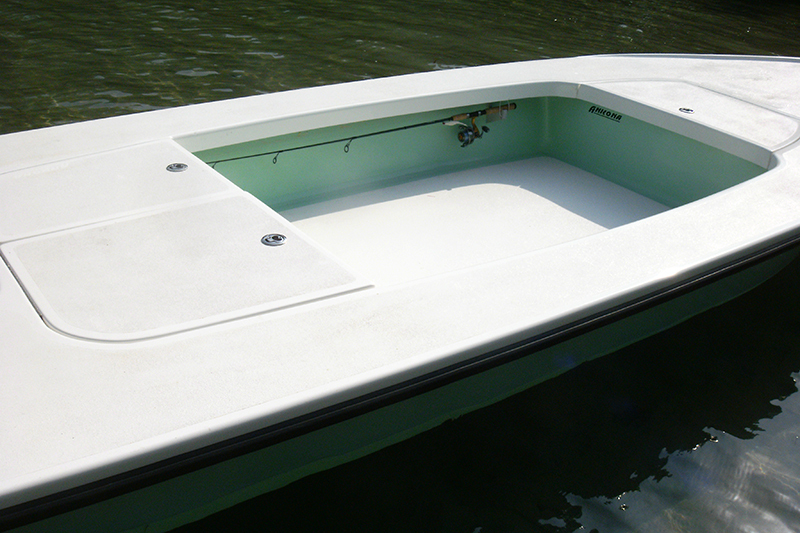 Rigged with a tiller-steered 40 hp, the Copperhead's top speed is about 32 mph. With remote steering and a 60 hp, it will touch 40 mph. The Tournament Edition features one forward compartment and two aft compartments, all with molded structural liners, fully finished molded hatches, and flat-gasketed channels to keep them quiet and dry. 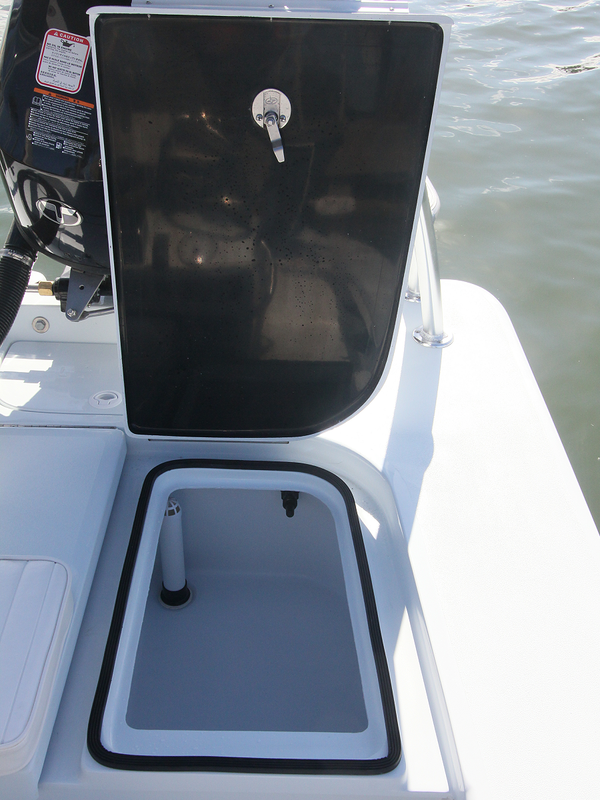 The 20-gallon port-side stern compartment is ready for livewell plumbing and features an overboard drain for use as a cooler.